If you follow us on Instagram, then you’ll know that we’re huge fans of everyone’s MINI rides out there and engage with the global MINI community as much as possible. As a community that appreciates both the retro and the new, there really is no other community quite like the MINI fans. We’ll always have big love for our little cars! Every time we scroll through our feed, there are accounts that always make our MINIac hearts skip a beat. Keep reading to find out our top 5 classic MINI accounts and our top 5 modern MINI accounts that never fail to bring a smile to our faces with every new post. Leave it to a B.C. local to bring a west-coast twist to the MINI Community! With a uniquely modern-vintage edit splashed onto his photos, we never hesitate to give Krys’ photography a double-tap whenever we scroll through our feed. We’re head over heels for this MINI account. Through some form of witchcraft or sorcery, Flex Mini somehow makes bad weather look amazing. With his car consistently glossed to perfection, following this account will give you the classic blessing you never knew you needed in your life. Every time Leicalogy posts something new, we’re always left craving for more. His clean photos, always shot with incredible lighting, tell stories with his dusty blue MINI. And if the unique colour of his car alone doesn’t make you swoon, we don’t know what will! If you’re a Richmond native, this account will be an extra special treat for you, as you’ll be able to spot where some of their pictures are taken! This classic MINI takes aesthetically pleasing shots with particular attention to white space. We’re such fans of his work that we’re always inclined to leave a comment every time we scroll by his posts. If you’re looking for a wonderfully curated feed that evolves with the seasons, Shuuhei’s Instagram will blow your mind. His shots are clean as they are beautiful, and they’ll make you wish you could drive down the roads of Wakayama with him! We keep seeing their work being reposted by other MINI fan pages, and it’s for good reason – every single post offers a natural escape starring their F56 and friends. If you’re into earthy tones and clean shots, this account’s the one to follow. No words can explain how much we love Shelly the MINI – you never know what kind of post you’ll get next from this 2012 JCW, but the one thing we can say for certain is that we’ll never be disappointed by their content. For insane “drone” shots, Shelly is a must-follow! If you’re into slammed cars, you’ve got to check out Bottoms Lower. His R53 is generally shot in isolation, and we live for it. Call us weird, but Kaito’s photography gives us a sense of calm whenever we visit it. Not to mention, he’s got the cutest toddler that he posts about on occasion! If you’re constantly on the the ‘gram and in need of fresh content all the time, then Chris runs your go-to MINI account. Almost daily, you’ll be supplied with satisfying captures of his MINI Cooper S F56 in tip-top shape. Talk about MINI goals! Is it wrong to be proud of our own work? Like the aforementioned accounts, we create all of our own content unless otherwise stated. The thrill of challenging our creative side is unparalleled, and we’re so glad to be a part of a community that shares the same passion for MINIs and photography as we do! We hope you love these Instagram accounts as much as we do! 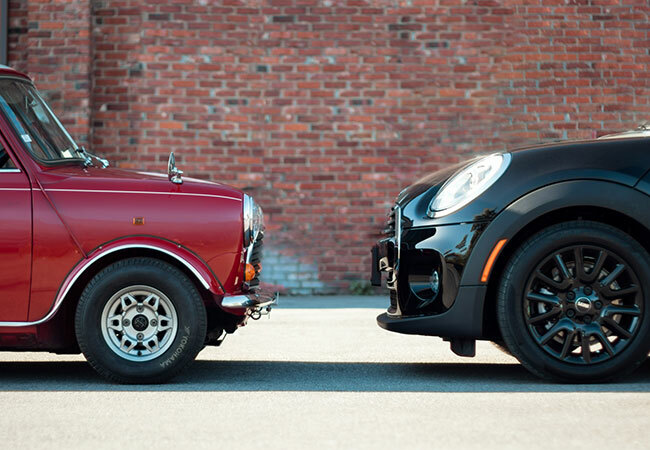 If you're not already, follow us on Instagram and let's talk all things MINI.